There are now only 7 days left to enter for your chance to WIN our Paleo Bundle Giveaway!! An autographed copy of Tarah Chieffi’s bestselling book, The Everything Paleo Pregnancy Book! A one year subscription to Paleo Living Magazine! A taste of EPIC bar and their newest product, EPIC Bites! 1. 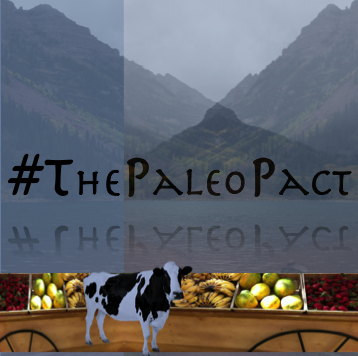 Visit our Facebook Page (Facebook.com/ThePaleoPact) by clicking HERE. 3. Upload your favorite Paleo Picture using the camera icon button, or share a quote or a recipe (or anything Paleo-themed) in the text box. 4. Click the “Publish” button. 5. Encourage your friends and family to Like your Post! Want more details about the Giveaway and everything you stand a chance of WINNING? Click HERE. A HUGE Thank You is due to all the wonderful people who attended our PALEO Cleanse Discussion and Book Signing at Natural Grocers by Vitamin Cottage in Littleton this week. With Colorado’s unpredictable weather, that event turned out to be right in the middle of a summer storm. We’re talking thunder, lightening, hail…and a tornado watch…and still these amazing folks made their way against the odds to chat with us that evening! Thank you for the truly amazing support! We had an awesome evening with you. 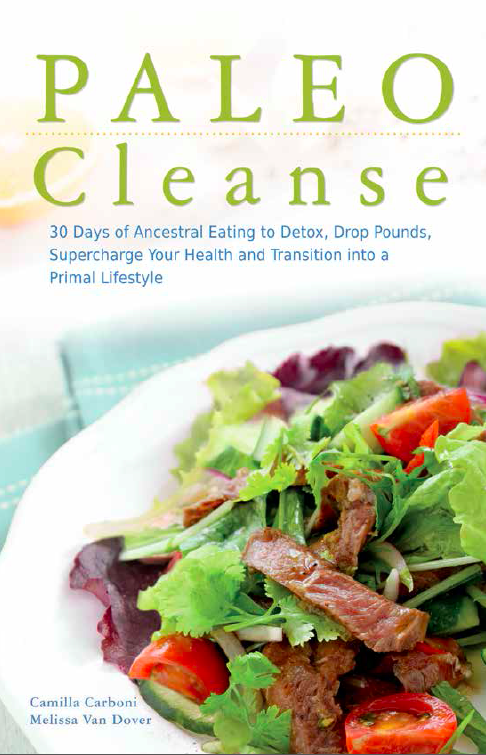 JUNE 9th: Join us at Barnes & Noble, Boulder at 5:30pm for a PALEO Cleanse Talk & Book Signing Event! We’re so looking forward to it and ask that you please support B&N–they’ve been so amazing at supporting our book across the nation. JUNE 17th: Join us at RAD Muay Thai at 5:30pm for a Paleo Clinic Event! We’ll be bringing Power Bars from PALEO Cleanse and having a fun evening discussion, book signing and video interview. Find out all the details HERE. 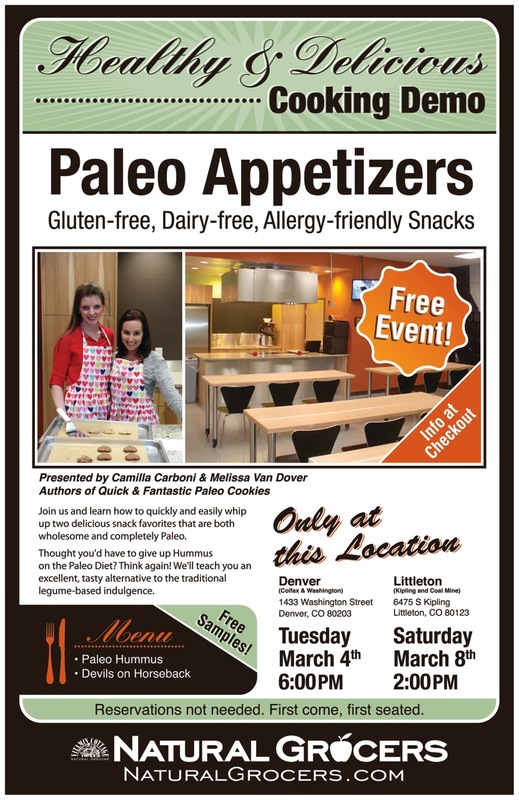 We are very excited to announce our March Cooking Demo topic: Paleo Appetizers! Tuesday, March 4th @ 6pm – The brand new Natural Grocers store, corner Colfax and Washington, Denver CO.
Saturday, March 8th @ 2pm – Natural Grocers Littleton, corner Kipling and Coal Mine, Littleton CO.
We’ll be showing you how to make our all-time favorites: Paleo Hummus and the ever-popular Devils on Horseback.